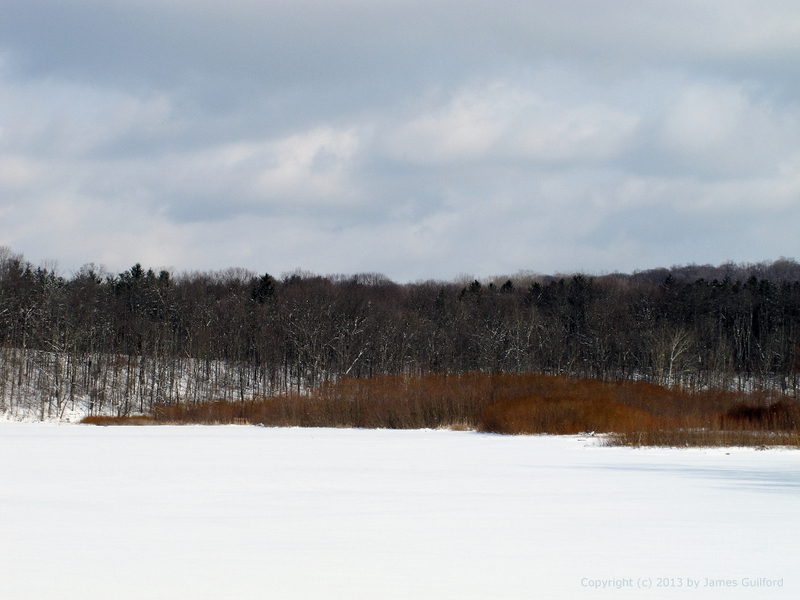 Dry reeds in a wetland area add a touch of color to a winter scene. I haven’t been outdoors for much photography this winter. So when we made a brief foray to Hinckley Lake this afternoon, even a few snapshots were better than nothing! The lake was, except for a wet spot or two, completely covered with snow over a thin layer of ice. The sky was mostly cloudy with gaps providing brief interludes of bright sunshine between long periods of dull light. Among the fields of white and gray woodlands, there were splashes of color. I hope to get out and spend some real time exploring the winter scenery. Til then, these little visits will have to do. 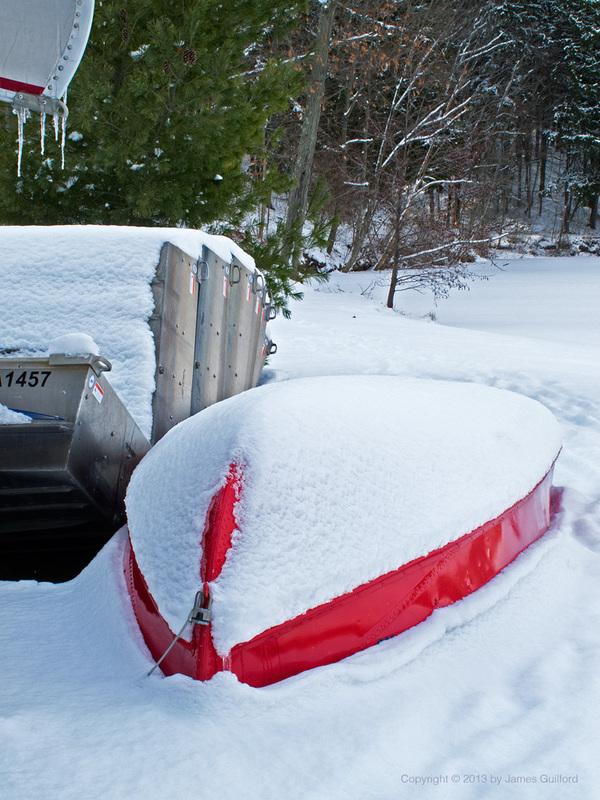 Boats wait, covered in snow and ice, for spring thaw.